What Does Target Offer Campers? In 2011 Target acquired Zellers and recently, began closing the stores across Ontario. What does that mean for Campers? Not every camper shops at a dedicated camping store for gear. In fact, you may have been introduced to camping by a tent purchased for you by your grandparents at a store such as Zellers or Woolco. 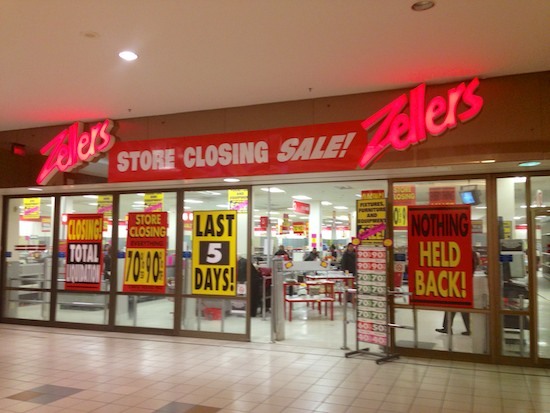 With Zellers disappearing, what does Target's expansion into Canada mean to us? Target has begun a soft launch in Canada with three stores now open in Ontario. The new stores in Guelph, Milton, and Fergus are the first of 24 new stores opening across the province. We popped into the Milton store to see what camping gear was available. Not all of the shelves were fully stocked, but the employees were very friendly and easily pointed us to the Outdoors section located in Sporting Goods. 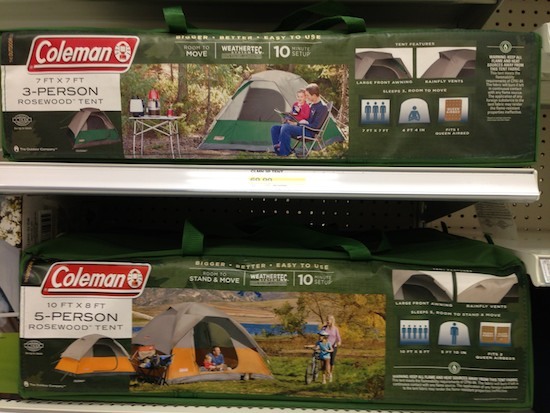 Target offers a wide selection of Coleman products including tents, sleeping bags and air mattresses. 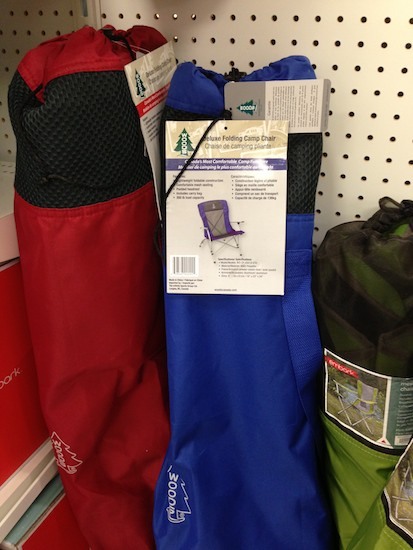 Target also carries the longtime camping gear maker, Woods and are offering sleeping bags, camp chairs and Chilkoot line of tents. New to Canada are the Mountain Trails tents offering three and four man sizes. If you get a chance, pop in to one and take a look at the affordable camping gear. Update: April 9th, 2013 - We dropped into the Lindsay, Ontario store which has officially opened to see what has been added to Target's camping gear lineup. Coleman Stoves and cooksets have been added to the Coleman selection along with LED Camp Lanterns. There is now a wide selection of the Bear Grylls line of Gerber knives.